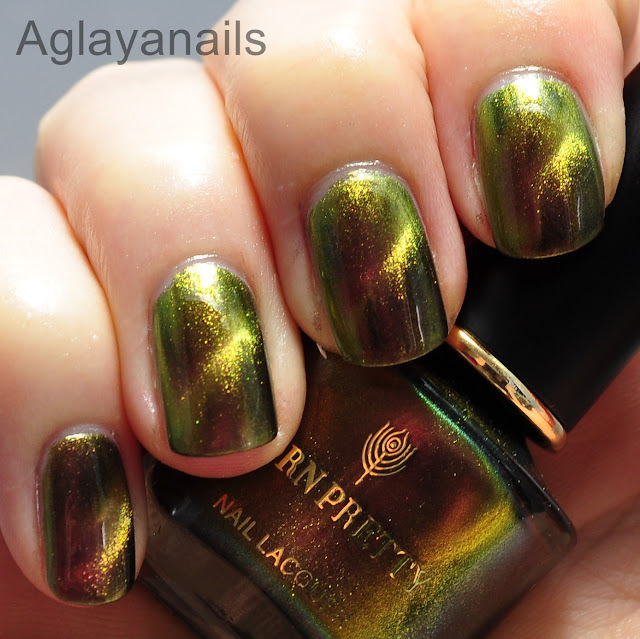 Born Pretty Store sent me this gorgeous magnetic multichrome polish for reviewing purposes, thank you so much! 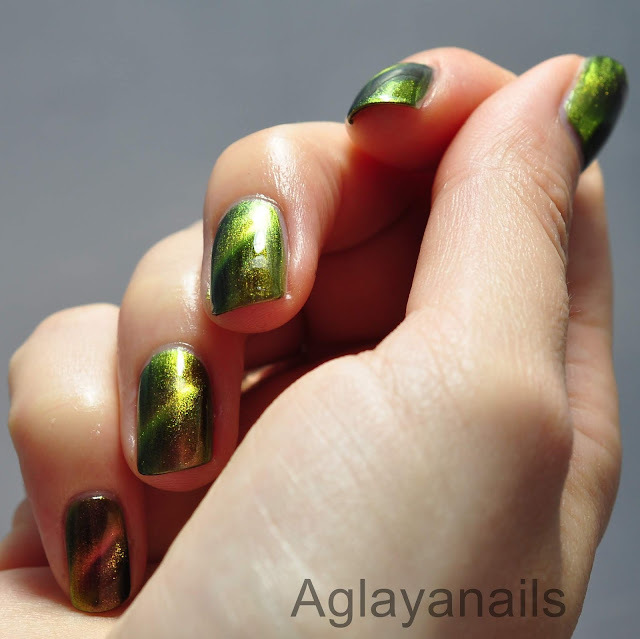 This beauty is part of the 3D Magnetic Aurora Series and is called BP-MA02 Lightning. 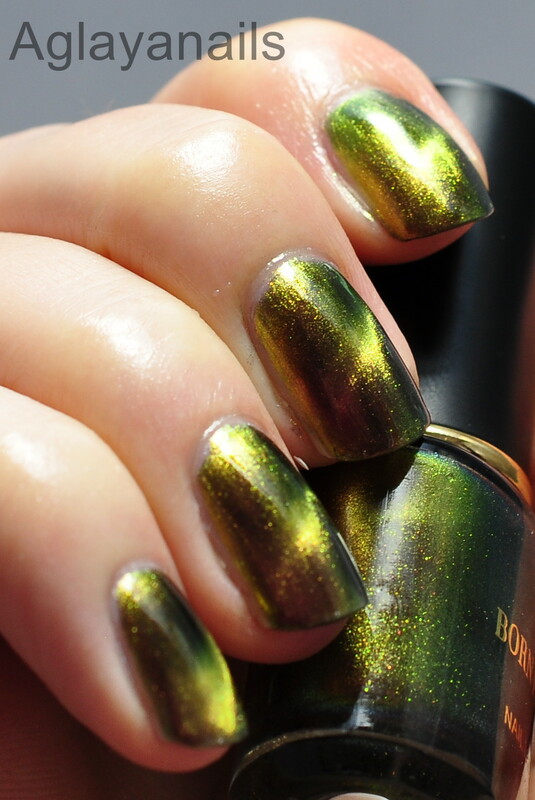 In its non-magnetized state it's a mutlichrome shimmer shifting from pink over gold to a grassy green. The reaction to the magnet is very strong, it needs only a second or two to show the effect, that turns it a little lighter where the magnet worked and darker on the other parts. 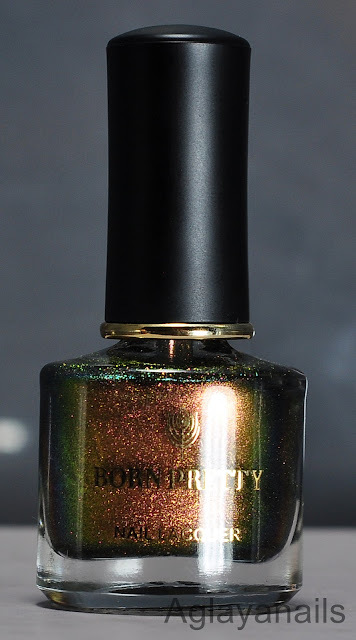 Born Pretty Store recommends using it over a black base, I used three coats on it's own (the polish is rather sheer, so it wasn't completely opaque, bur wearable), plus one coat of KBShimmer Clearly On Top. The nail polish was offered for reviewing purposes. Again, thank you very much, Born Pretty Store!